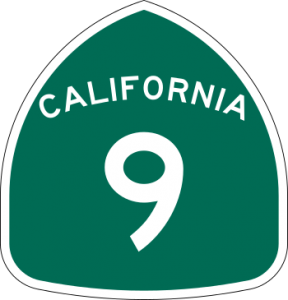 In San Lorenzo Valley, we depend on Highway 9. It’s the backbone for people and goods moving through Felton, Ben Lomond, Brookdale and Boulder Creek. It connects us to Santa Cruz and the Bay Area, both for recreational tourism and commuters. This winding mountain road is used by more than 21,000 vehicles a day, bulging with tourism and special event traffic during the summer. This 10-mile stretch of Highway 9 serves as the primary public space for more than 17,000 residents and is the economic center of the San Lorenzo Valley, with more than 8,000 people employed. We have three METRO bus routes, with an average monthly ridership of about 40.000. There are also around 3,000 kindergarten through high school students that use the corridor. Highway 9, in essence, is our “Main Street.” But, having a state highway as our main street leaves much to be desired. Our students and pedestrians walk and bicycle in the highway shoulders, in dirt, or though parking lots, and there is no safe and accessible path to most bus stops. The serpentine road has short radius curves, and narrow or no shoulders at many locations, insufficient left turn lanes and challenges with drainage. Businesses have challenges with parking and access. During my first term as Supervisor, I concentrated efforts along Highway 9 to address immediate safety needs. We were successful in getting new streetlights, crosswalk improvements and better signage and lower speed limits through the towns. In the coming years, I plan to work with you for long-term “complete streets improvements” by developing a master plan for Highway 9. I am very pleased to announce that we have received a $249,000 planning grant from Caltrans to complete a “San Lorenzo Valley Complete Street Corridor Transportation Plan.” The Santa Cruz County Regional Transportation Commission will work in partnership with Caltrans, the County of Santa Cruz and METRO, residents, business, school and others to prepare the plan. This approach aligns with a very different approach from the Caltrans of yesteryear. In the past few years, Caltrans embraced a new mission and vision which includes flexibility in highway planning and design and emphasizes a comprehensive approach that balances community needs with a diverse range of travelers. This corridor-specific plan will identify needs, and an analysis necessary to prioritize transportation projects that can be implemented in the short and mid-term. The plan will also be a stepping stone to secure funding for priority investments. I envision that we will identify intersection improvements, bicycle lanes, paths, more accessible pedestrian crosswalks and sidewalks, as well as more flashing pedestrian beacons and access to bus stops. We also will be considering the “streetscape” including street furniture, light and plants. Our environmental and cultural assets will be an important part of the conversation, including the San Lorenzo River watershed, historic slogging sites and state and local parks. The world of transportation is a “heavy lift” in terms of planning, process and funding. I expect that you will be asked to participate many times in many ways over the next two years of planning. I thank you in advance and hope you will remain engaged while we transform a state highway into our main street. The other part of the “heavy lift” is funding to implement the Highway 9 plan. This November there will be a Transportation Tax Measure on the ballot to fund local transportation projects. $10 million has been earmarked for the Highway 9 corridor. I hope that you will join me in supporting the ballot measure. Here are updates on several transportation projects. Boulder Creek Elementary School: Anderson Pacific will work this summer on concrete sidewalks, diagonal parking, a student drop-off/pick up zone and drainage improvements along Laurel Street adjacent to the school frontage between Harmon Street and Lomond Street. Additional sidewalks on Harmon Street from Laurel Street to the secondary school access at the tennis courts are included in the project. An asphalt walkway on the south side of Harmon Street from Laurel Street to Oak Street will also be constructed as well with connection via an accessible ramp and a standard yellow school crosswalk at the Laurel Street and Harmon Street intersection. The sidewalk improvements adjacent to the school property will require cement concrete retaining walls about three feet high along Harmon Street, and from three feet to five feet high on Laurel Street. Highway 9 Felton School Project: Last week, the Board of Supervisors approved the submittal of a grant application for $1.5 million of improvements on Highway 9 for the three-school campus in Felton. On the west side of Highway 9, a sidewalk is proposed from the bridge south of Fall Creek Drive to the intersection at San Lorenzo Valley High School. A sidewalk on the other side is proposed to be constructed from the existing transit stop to the crosswalk just north of the transit stop. Lower Speeds on Highway 9: We have also received very good news from Caltrans on the results of the speed survey for Highway 9. As a result of the study, speed limits on Highway 9 are proposed to be lowered on four stretches between Santa Cruz and Boulder Creek. At the Santa Cruz City limit, the 25 mile an hour zone will be extended for about a quarter of a mile where there is now a 35 mph area. The speed limit will be lowered from 35 mph to 30 mph in from of Henry Cowell Redwoods State Park, a distance of about 4.5 miles. Coming into Felton from the south, the speed limit will go from 35 to 25 mph. The speed limit is also proposed to be lowered from 35 mph to 30 mph between Ben Lomond and Brookdale.